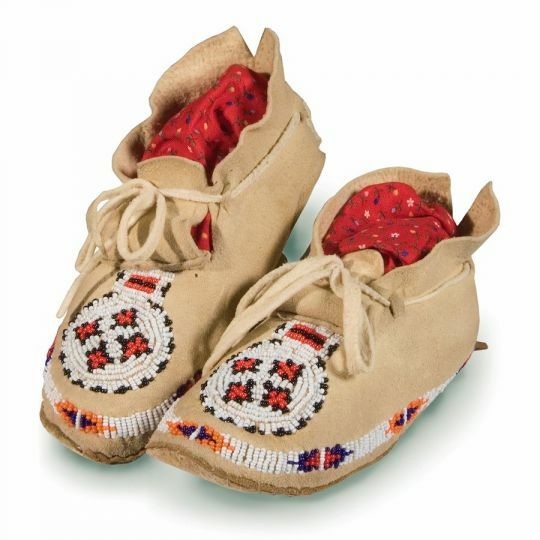 Baby’s Plains white buck moccasins kit. SKU: 2608. 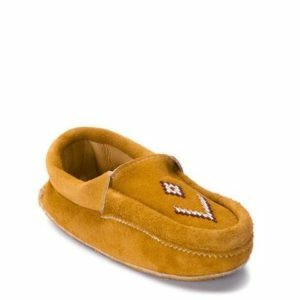 Availability: In stock Shipping Weight: 0.1 kg Categories: Apparel/ Children/ Children and Baby Moccasins/ Footwear/ Moccasins. 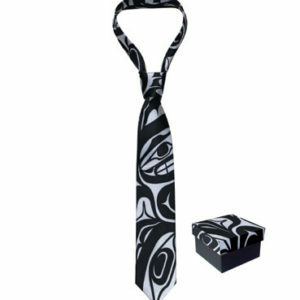 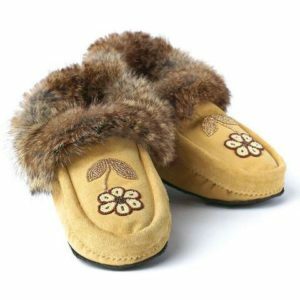 Tag: Apparel / Children / Children and Baby Moccasins / Footwear / Moccasins. 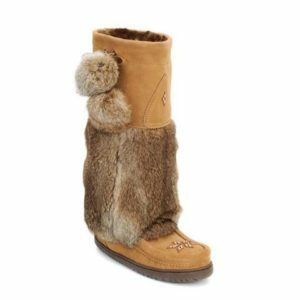 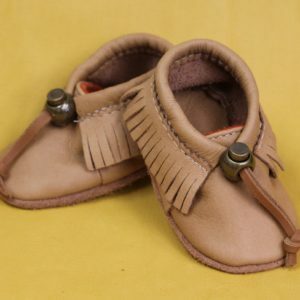 Baby Moccasins can be readily made for infants and toddlers. 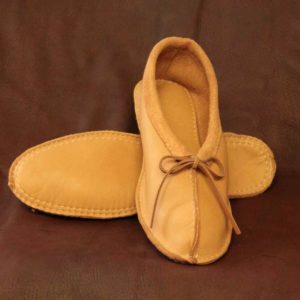 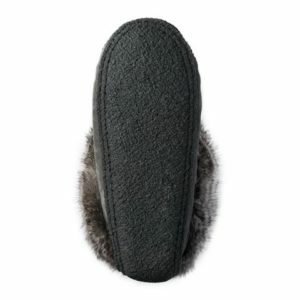 Using the 2-piece construction of a Plains moccasin, we provide soft buckskin for soles and uppers, simulated sinew and complete instructions. 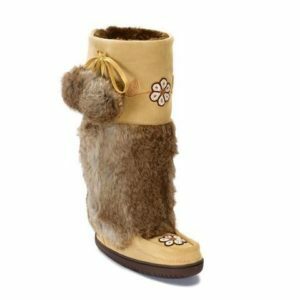 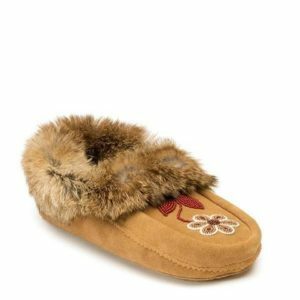 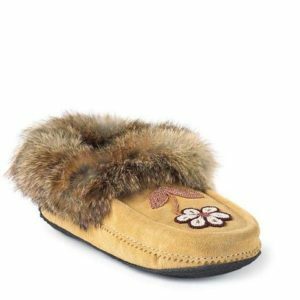 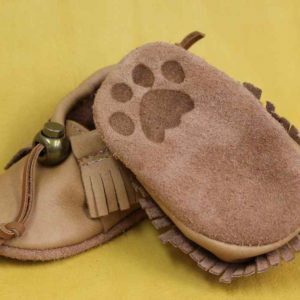 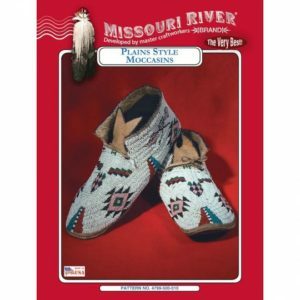 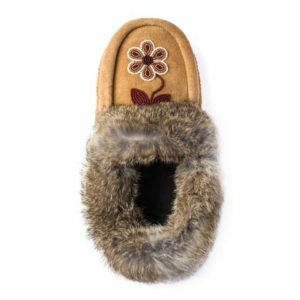 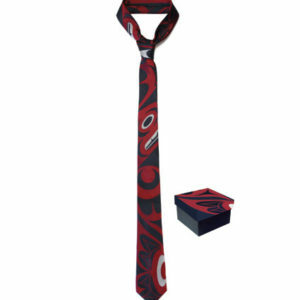 This Native American moccasin kit fits little feet up to 5″ long.